04. Membership Qualification and Rights. 07. Entrance Fees, Subscription and Other Dues. 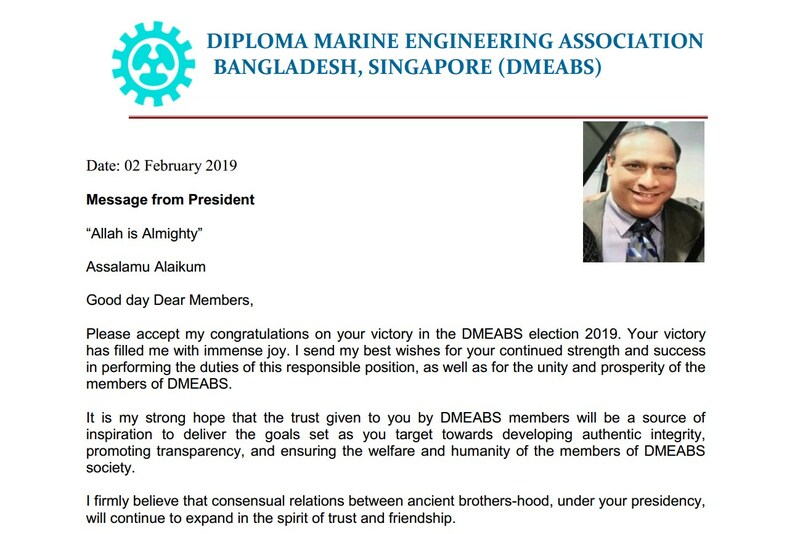 1.1 # This Society shall be known as the “Diploma Marine Engineering Association Bangladesh, Singapore (DMEABS)” hereinafter referred to as the “Association”. 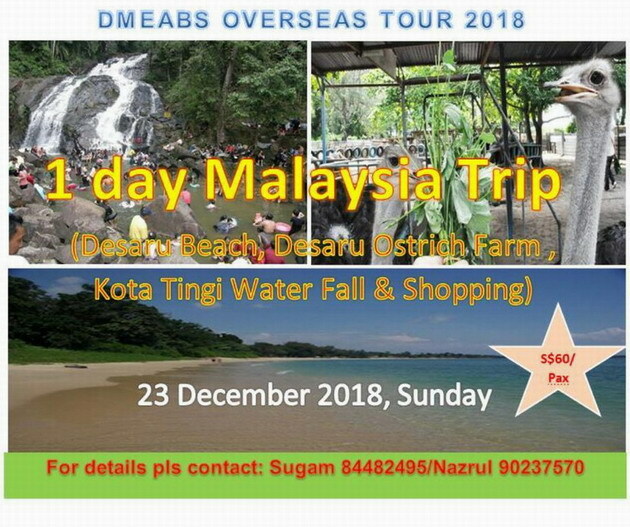 2.1 # Its place of business shall be at “No 23 Pioneer Road North #01-119/120, Singapore 628468” or such other address as may subsequently be decided upon by the Committee and approved by the Registrar of Societies. The Association shall carry out its activities only in places and premises which have the prior written approval from the relevant authorities, where necessary. 3 .4 To assist in every way possible the development of the alma mater. experience exchange, initiation of education programmes, training of teaching staff, recreational and sports activities for the Association. Article 04: Membership Qualification and Right. 4.1.1 Ordinary Membership: Ordinary Membership is open to anyone who has passed Marine-related Diploma course e.g. Diploma in Marine Engineering, Diploma in Engineering Marine Technology, Diploma in Engineering Shipbuilding Technology or any other full time Diploma courses from the Bangladesh Institute of Marine Technology, Narayangonj 1413.
entitled to use the full facilities of the Association. 4.1.3 He / she shall be residing/working in Singapore with valid pass. 4.1.4 Ordinary Members shall have the right to stand or vote for election to the Executive Committee if he / she is staying/residing in Singapore with valid pass. If he/she is staying/residing outside of Singapore, then he/she is not eligible to stand or vote for election. 4.2.1 Associate Membership: Associate Membership is open to anyone who has completed at least 2 (two) years of a Marine-related course from Bangladesh Institute of Marine Technology (BIMT), Narayangonj 1413. 4.2.2 He / she shall be residing / working in Singapore with valid pass. 4.2.3 Associate Members shall not have the right to vote or stand for election to the Executive Committee. 4.2.4 An Associate Member who has been contributing as an Associate member to the Association for at least 2 (two) years will be eligible to apply for Ordinary Membership. 4.2.5 The Executive Committee may then review his / her Membership application and upgrade him/her to an Ordinary Member. 4.2.6 The Executive Committee may decide to upgrade an Associate Member to Ordinary Membership subject to a maximum of 3 (three) members per calendar year. 4.3.1. Honorary Membership: Honorary Membership may be conferred on anyone who has made a significant contribution to the furtherance of the Association’s objectives. 4.3.2 Any high official such as the High Commissioner, relevant and recognized Company’s CEO / director or such other honorary persons would be an Honorary Member of the Association. 4.3.3 Any person who is eligible to be an Ordinary Member or an Associate Member shall not be an Honorary Member of the Association. 4.3.4 An Honorary Member shall not have the right to vote or stand for election of the Executive Committee. 4.4.1 Life Membership: He / she shall be an Ordinary Member of the Association. 4.4.2 He / she shall serve at least 1(one) year for the Association as an Ordinary Member. 4.4.3 He / she have to pay at least S$250 (two hundred and fifty) dollars and apply for a Life Membership. 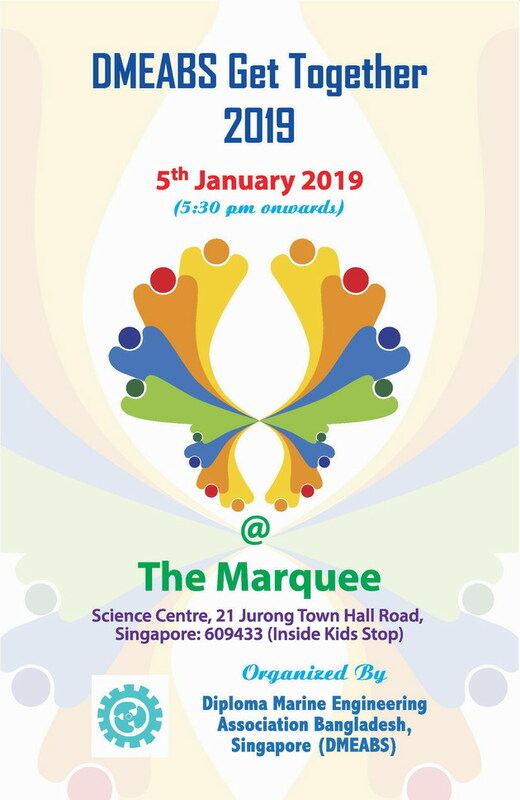 4.4.4 Life Members shall have the right to stand or vote for election to the Executive Committee if he/she is staying/residing in Singapore with valid pass. 4.4.5 He/she is not eligible to stand for election if he/she is staying/residing outside of Singapore but he/ she has right to vote for election. The Election Commission shall make necessary arrangements. 5.1. The person is sentenced to jail by any judicial court or any legal authority. 5.2 Where there is strong evidence of the person working against the Association and its objectives. his decision and shall at the same time pay all dues. 5.4 If any member violates the rules and regulations of the Association or if his / her conduct is in the opinion of the Executive Committee injurious to the objectives, image and interest of the Association, the Executive Committee shall ask for explanation for his/her act and issue a notice to the member. The committee is empowered to advise and recommend such a member to resign. If such a member so recommended does not resign within 14 (fourteen) days from the date of the notice of such recommendation, the Executive Committee shall have the power to call an Extraordinary General Meeting for the purpose of voting on the expulsion of such member. A vote of 3/4 (three-fourth) of the members voting at such a General Meeting shall be sufficient to expel the member from the Association without any further appeal. Article 06: Application for Membership. 6.1 A person wishing to join the Association should submit his / her particulars to the General Secretary on a prescribed form. 6.2 A new member must be proposed and seconded by existing members. His / her name will then be posted through notice / email to the members for one week. If there is no objection from the members, the Executive Committee shall decide on membership, taking into consideration. 6.3 A copy of the Constitution shall be furnished to all approved members of the Association. Article 07: Entrance Fees, Subscription and Other Dues. 7.1 No entrance fee is required to be paid prior to the submission of the Membership application form but the full 1 (one) year Membership subscriptions have to be paid by the newly approved Member. 7.2 The annual subscriptions payable is S$24 (twenty four) dollars for Ordinary and Associate Member. 7.3 The subsequent Membership subscription may be paid in every 3 (three) months interval by cash or by electronic payment. 7.4 If a member fails to pay his / her subscriptions within a month, he / she shall be informed immediately by the Treasurer. 7.5 If a Member fails to settle his / her subscriptions within 2 (two) months of dues, the President may order his/her name to be posted / emailed and he/she may be deprived of the privileges of Membership until he/she settles his / her subscriptions. If he / she fails to settle his / her subscriptions within 1 (one) year, Membership may ‘hold’ and within 2 (two) years if he / she fails to settle his / her subscriptions his / her Membership shall be automatically ceased. 7.6 Honorary Members and Life Members are exempted from pay fees / subscriptions. In critical situation, the Executive Committee may ask Honorary Members and Life Members to pay subscriptions but shall get approval from General Meeting. 7.7 Any additional funds required for special purposes may be raised with the consent of the Executive Committee of the Association. An approved register/record by the Executive Committee shall be maintained for all transactions. 8.1 The supreme authority of the Association is vested in a General Meeting of the members. 8.2 An Annual General Meeting shall be held by 1st quarter of the year. 8.3 At other times, an Extraordinary General Meeting must be called by the President on the request in writing of not less than 25% of the total voting members or 30 (thirty) voting members, whichever is the lesser, and may be called at any time by order of the Executive Committee. The notice in writing shall be given by the General Secretary setting forth the business that is to be transacted. The Extraordinary General Meeting shall be convened within 2 (two) months from receiving the request to convene the Extraordinary General Meeting. 8.4 If the President does not call for Extraordinary General Meeting within 2 (two) months after the date of the receipt of the written request proceed to convene an Extraordinary General Meeting, the members who requested for the Extraordinary General Meeting shall convene the Extraordinary General Meeting by giving 10 (ten) days’ notice to voting members setting forth the business to be transacted and simultaneously the agenda shall be posted / emailed to all General Members. 8.5 At least two 2 weeks’ notice shall be given of an Annual General Meeting and at least 10 (ten) days’ notice before an Extraordinary General Meeting. Notice before meeting stating the date, time and place of meeting shall be sent by the General Secretary to all voting members. The particulars of the agenda shall be posted/emailed to the members 4 (four) days in advance of the meeting. 8.6.1 The previous General Meeting Minutes. 8.6.2 The previous financial year’s accounts and annual report. 8.6.3 Where applicable, the election of office-bearers and Honorary Auditors for the following term. 8.6.4 Any member who wishes to place an item on the agenda of a General Meeting may do so provided he gives notice to the General Secretary 1 (one) week before the meeting is due to be held. 8.7 At least 25% of the total voting members or 30 (thirty) voting members, whichever is the lesser, present at a General Meeting shall form a quorum. Proxies shall not be constituted as part of the quorum. 8.8 In the event of there being no quorum at the commencement of a General Meeting, the meeting shall be adjourned for ½ (half) an hour and should the number then present be insufficient to form a quorum, but they shall have no power to amend any part of the existing Constitution. 9.2 Names for the above Secretaries except the Treasurer may be re-elected to the same or related post for a consecutive term of office. The term of office of the Executive Committee is 2 (two) years. 9.3 No member shall hold any one of the post such as President, Senior Vice President, Vice-President and General Secretary for more than 3 (three) terms consecutively unless insufficient candidate. 9.4 An Executive Committee Meeting shall be held at least once in every 2 (two) months after giving 7 (seven) days’ notice to the Executive Committee Members. The President may call for an Urgent Executive Committee meeting at any time by giving 24 (twenty-four) hours’ notice. The Majority of the Executive Committee members must be present for its proceedings to be valid. 9.5 Any member of the Executive Committee absenting himself from 3 (three) meeting consecutively without satisfactory explanations shall be deemed to have withdrawn from the Executive Committee and a successor may be co-opted by the Executive Committee to serve until the next General Meeting. Any changes in the Executive Committee shall be notified to the ‘Registrar of Societies’ within 2 (two) weeks of the change. 9.6 The duty of the Executive Committee is to organize and supervise the daily activities of the Association. The Executive Committee must not act contrary to the expressed, wishes of the General Meeting without prior reference to it and shall always remain subordinate to the General Meetings. 10.1 The Executive Committee shall appoint Advisors who are the valid members of the Association within 1 (one) month of the General Election. The Advisors of the Association shall not exceed 11 (eleven) persons. 10.2 Most preferably the former President and General Secretary or such other distinguished persons shall be an Advisor of the Association. 10.3 The Advisors shall provide advice to the Executive Committee, which they deem necessary to bring forward the objectives of the Association. Hence, the Advisors shall not have the right to influence any matters to the Executive Committee. 10.4 Advisors shall have the right to vote at General Meetings and are not part of the Executive Committee. 11.1 The Election Commission shall be formed by the Executive Committee consisting of 3 (three) to 5 (five) members, headed by a Chief Election Commissioner. 11.2 The Election Commission should submit a financial budget and execution plan to the President of the Executive Committee. 11.3 The Election Commission shall call for nominations between 21 (twenty one) days to 30 (thirty) days before the date of election. 11.4 Any member willing to stand for a position of the Executive Committee, shall collect the nomination form which shall be prepared by the Election Commission. He/she shall then complete the form and submit to the Election Commission. 11.5 The nomination form shall be endorsed by 2 (two) Ordinary Members. The Election Commission shall declare the successful nominees’ name (s) within 2 (two) days after the last date of submission the nomination. 11.6 In the event of more than the required number of candidates being nominated in 1 (one) position, a secret ballot shall be conducted by the Election Commission. 11.7 The Election Commission shall publish in details the voting process and place 15 (fifteen) days before the election. 11.8 The members of the Election Commission and any persons involved directly in election activities cannot be candidates for the election. 11.9 The Election Committee shall take necessary steps to arrange fair election. 11.10 No candidate shall pay membership fee / subscription for the other Members of the Association. 11.11 If the current Executive Committee members contest for election, he / she has the right to canvass similar to other candidates. 12.1 The President shall chair all General and Executive Committee Meetings and represent the Association. He / she shall deal with all Associations’ related-matters and as necessary outside authorities as well. 12.2 The Senior Vice President shall deputise for President. He / She shall chair the Executive Committee Meeting in the absence of the President. 12.3 The Vice-President shall assist the President / Senior Vice President as and when required. In the absence of the President / Senior Vice President, the Vice President shall chair the Executive Committee Meeting. He / she may need to carry out and lead any special activities / task as advised by President. 12.4 The General Secretary shall keep all records except financial of the Association and shall be responsible for their correctness. He / she will prepare and keep minutes of all General and Executive Committee meetings. All media related matters e.g. facebook, website and etc shall be handled regularly. Association-related memos / letters shall need to be prepared as advised by the President. He / she shall monitor and evaluate all the secretaries’ duties from time to time. 12.5 The Joint Secretary shall deputise the General Secretary of the Association closely. He / she may need to share the job with General Secretary as advised by Executive Committee. 12.6 The Assistant General Secretary (Career Development) shall solely focus on the Members career development related matters e.g. training, seminar, course and etc. He / she shall update members’ register / database and profile regularly. 12.7 The Treasurer shall keep all funds and collect and disburse all monies on behalf of the Association and shall keep an account of all monetary transactions and shall be responsible for their correctness. He is authorized to expend up to S$1000 per month for petty expenses on behalf of the Association. He / she will not keep more than S$2000 in the form of cash and money, in excess of this will be deposited to the Association’s account. He / she may need to withdraw the money by cheque and etc. from the bank which will be signed by the Treasurer and either the President or the Senior Vice- President or the Vice President. 12.8 The Social Welfare Secretary shall lead social welfare activities related matters e.g. donation for members, donation of blood, visit sick members and etc. He / she shall take part to improve the social bonding amongst the members of the Association. To further improve the relationship amongst the members and other Associations, he may need to be involved physically as advised by Executive Committee. The Social Welfare Secretary may raise fund which is refundable or nonrefundable with the consent of the Executive Committee. An approved register/record by the Executive Committee shall be maintained for all transactions. 12.9 The Organizing Secretary may lead the activities arranged by the Association. He / she may need to prepare budgets for any function and possible ways to organize the event swiftly for the Association. 12.10 The Publication Secretary shall lead all publications-related matters e.g. news, information, magazine and etc. for the members of the Association. 12.11 The Cultural Secretary shall lead to prepare for whole year cultural program plan and execute the program for the Association. 12.12 The Sport Secretary shall lead to prepare for whole year sports activities plan and execute the program for the Association. 12.13 The Committee Members shall assist in the general activities and assist the secretaries of the Association as and when assigned by the Executive Committee. 13.1 Assistant General Secretary (Career Development) may lead whole program of fund raising activities for the Members of the Association. 13.2 Financially abled/capable interested members may transfer lump sum amount to the Association’s account for raising “Career Development Fund” which is refundable. An approved register/record by the Executive Committee shall be maintained for all transactions. 13.3 Financially-abled/capable interested members may transfer some amount on a monthly basis to the Association’s account for raising “Career Development Fund” which is refundable. An approved register/record by the Executive Committee shall be maintained for all transactions. 13.4 Members who wish to develop their career may apply to borrow money from “Career Development Fund” and return the exact/same amount to the Association’s account before the stipulated time period without any interest. An approved register/record by the Executive Committee shall be maintained for all transactions. 13.5 Minimum 3 (three) members shall be guarantors for borrowing the cash. The cash is allowed to be used for career development purpose only. 13.6 No loan shall be allowed to non-members of the Association. 14.1 If it is found that any member is insulting other member may hamper Associations’ objective(s), Executive Comm/ counseling for his/her act. For continuous such acts, the reminder notice/email for his / her act. regarding such matter. In the worst case scenario, the issue at the General Meeting to reach a settlement. 15.1 The 2 (two) voting members, not being members of the Executive Committee, shall be elected as Honorary Auditors at each Annual General Meeting and will hold office for a term of 2 (two) years and shall not be re-elected for a consecutive term. The accounts of the Association shall be audited by a firm of Public Accountants and Chartered Accountants if the gross income or expenditure of the Association exceeds $500,000 in that financial year, in accordance with Section 4 of the ‘Societies’ Regulations. 15.2.1 They will be required to audit each year’s accounts and present a report upon them to the Annual General Meeting. 15.2.2 May be required by the President to audit the Association’s accounts for any period within their tenure of office at any date and submit a report to the Executive Committee. 15.3 The Financial Year of the Association shall be from 1st January to 31st December. 16.1 The Association shall not amend its Constitution without the prior approval in writing of the Registrar of Societies. No alteration or addition/deletion to this Constitution shall be passed except at a general meeting and with the consent of two-thirds (2/3) of the voting members present at the General Meeting. 16.1 The outgoing Executive Committee shall be responsible for providing the necessary guidelines to the newly elected Executive Committee in order to take over the Association’s bank account and other matters (e.g. website, Face book and etc.) within 2 (two) weeks from the General Election. 17.1 If the Association at any time acquires any immovable property, such property shall be vested in trustees subject to a declaration of trust. 17.2.1 Not be more than 4 (four) and not less than 2 (two) in number. 17.2.2 Be elected by a General Meeting of members. 17.2.3 Not effect any sale or mortgage of property without the prior approval of the General Meeting of members. 17.3.1 If the trustee dies or becomes a lunatic or of unsound mind. 17.3.2 If he/she is absent from the Republic of Singapore for a period of more than 1(one) year. 17.3.3 If he / she is guilty of misconduct of such a kind as to render it undesirable that he / she continues as a trustee. 17.3.4 If he / she submits notice of resignation from his trusteeship. 17.4 Notice of any proposal to remove a trustee from his trusteeship or to appoint a new trustee to fill a vacancy must be given by posting it on the notice board in the Association’s premises at least 2 (two) weeks before the General Meeting at which the proposal is to be discussed. The result of such General Meeting shall then be notified to the Registrar of Societies. 17.5 The address of each immovable property, name of each trustee and any subsequent change must be notified to the ‘Registrar of Societies. 18.1 Visitors and guests may be admitted into the premises of the Association but they shall not be admitted to the privileges of the Association nor shall they be admitted into the premises more than 6 (six) times in a calendar year. These visits are to be confined to not more than once in 14 (fourteen) days. 18.2 A Visitors’ Book shall be kept in which shall be entered the names of all visitors and guests together with the name and signature of the members nominating them and the date of their visit. No person shall be a visitor or guest till his name has been entered in this book. 19.1 Gambling of any kind, excluding the promotion or conduct of a private lottery which has been permitted under the Private Lotteries Act Cap 250, is forbidden on the Association’s premises. The introduction of materials for gambling or drug taking and of bad characters into the premises is prohibited. 19.2 The funds of the Association shall not be used to pay the fine of members who have been convicted in court of law. 19.3 The Association shall not engage in any trade union activity as defined in any written law relating to trade union for the time being in force in Singapore. 19.4 The Association shall not indulge in any political activity or allow its’ funds and/or premises to be used for political purposes. 19.5 The Association shall not hold any lottery whether confined to its members or not, in the name of the Association or its office-bearers, the Executive Committee or member(s) unless with the prior approval of the relevant authorities. 19.6 The Association shall not raise funds from the public for whatever purposes without the prior approval in writing of the Assistant Director Operations, Licensing Division, Singapore Police Force and other relevant authorities, where necessary. 20.1 The Association shall not amend its Constitution without the prior approval in writing of the ‘Registrar of Societies’. No alteration or addition / deletion to this Constitution shall be passed except at a General Meeting and with the consent of 2/3 (two-thirds) of the voting members present at the General Meeting. 21.1 In the event of any question or matter pertaining to day-to-day administration which is not expressly provided for in this Constitution, the Executive Committee shall have power to use their own discretion. The decision of the Committee shall be final unless it is reversed at a General Meeting of Members. 22.1 If there is any dispute / issue arising amongst members of the Association, the Executive Committee may form a ‘Peace Committee’ within the Association’s respected / distinguished personnel to resolve the dispute / issue. They will give necessary advice to the Executive Committee within a specific time period. The Executive Committee shall evaluate the advice given by the ‘Peace Committee’ and take necessary steps. The Executive Committee may sit with relevant personnel to resolve the dispute / issue. If the dispute / issue is not resolved within satisfactory level, then the Executive Committee may attempt to resolve the dispute / issue at an Extraordinary General Meeting in accordance with the Constitution. Should the members fail to resolve the matter, they may bring the matter to a court of law for settlement. 23.1 The Association shall not be dissolved, except with the consent of not less than 3/5 (three-fifths) of the total voting membership of the Association for the time being resident in Singapore expressed, either in person or by proxy, at a General Meeting convened for the purpose. 23.2 In the event of the Association being dissolved as provided above, all debts and liabilities legally incurred on behalf of the Association shall be fully discharged, and the remaining funds will be disposed of in such manner as the General Meeting of members may determine or donate to an approved charity or charities in Singapore.